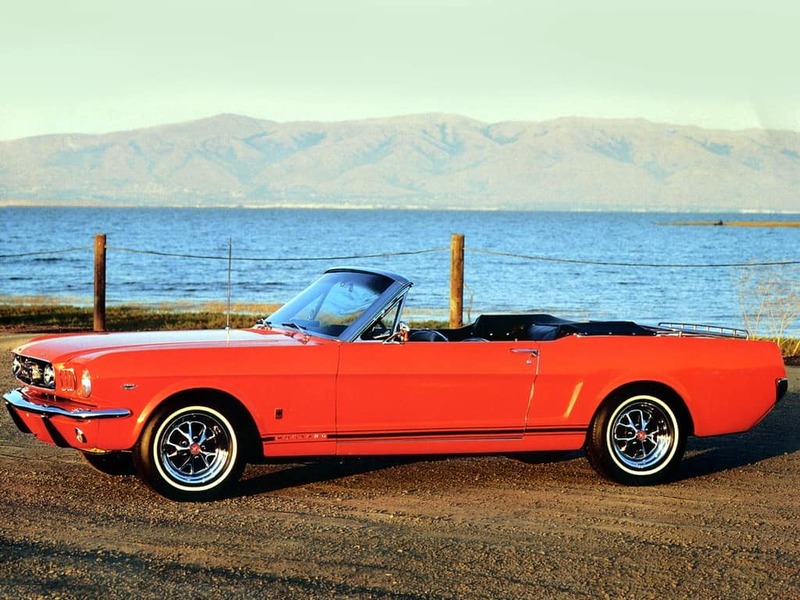 The first generation of the Mustang was a miracle. It propelled a whole new class of cars in the form of small, lightweight, powerful, beautiful and yet reasonably priced sports cars. The engines ranged from I6 to V8 that went up to 7 l of displacement providing serious power, sometimes reaching well over 400 hp, while being officially rated lower due to regulations. Throughout every generation of its production the Mustang MK1 increased in size, until reaching the massive 1973 body. Moreover, there were numerous special edition models even including the Boss versions, as well as Mach 1 and Shelby beasts. Basically, whatever kind of a sports coupe you like, the MK1 Mustang can deliver. The MK2, on the other hand, greatly suffered due to changing regulations and oil crisis, being relegated to a somewhat capable subcompact car that was far more insipid to drive and look at than the MK1. Still, both generations were sold really well, but if you are looking for a collector’s gem, you should definitely look for one of the many special edition versions of the first generation. In 1963 Ford was dropping hints of the Mustang which served as a test to see how the public would react to the car, since it was a whole new design and type of car. It was a complete success, being the most successful launch for the company since the Model A back in 1927. It was, and still is, absolutely beautiful and powerful enough to make even the racers love it. Add to this outstanding tuner and special edition models and the Mustang was destined to become a legend from day one. Moreover, it sparked a whole new kind of a car, soon to be followed by the likes of the Camaro, Challenger, Cuda Firebird and others. The first car was built in April 1964 as a MY 1965 car. These first ones are often referred to as 1964½ and they do carry some slight design differences and even engine peculiarities, but they are all marked as 1965 cars in their VINs. As time was progressing the car was becoming bigger and heavier, somewhat due to the design issues and direction that strived to make the Mustang completely different from other, smaller cars, but also due to new government regulations that required weight-adding safety features. Even though the Mustang was a new car, it shared a lot of solutions with the previous compact cars such as Falcon and Fairlane. This was so due to the fact that the Mustang was supposed to be a capable and stylish sports car, but also to come for a relatively affordable price. Using existing chassis, drivetrain and suspension components meant that the development was faster and easier and that dealers and services would have a lot easier time getting to know the car. The initial models were made from 1964/1965 to 1966 with few changes. The first few 1964½s had several different engines compared to the regular 1965 model, as well as some styling changes. The most powerful initial model had 275 hp coming from a 4.7 l V8. 1965 was also the year when the Shelby Mustang appeared for the first time, later becoming one of the most beloved versions of the Mustang. The 1966 model brought a new grille, wheel covers, different badging and gas cap, as well as a new three-speed automatic. The engines for the first two and a half years of production ranged from a 2.8 I6 with 105 hp (replaced as early as 1965) to a 4.7 l V8 with up to 271 hp. The 1967 – 1968 cars were larger than the first ones adding to the weight, but also to the cabin and cargo space. The most notable engineering difference was an introduction of a big-block V8. Other changes included cosmetic alterations such as new taillights, side details and several new engines. This was also the time of the Shelby GT500 with a beautiful Fastback body and a 7.0 Cobra Jet V8. This car is famous as Eleanor from Gone in Sixty Seconds. Another cinematic model from this era was the 1968 Mustang GT Fastback used in Bullitt and driven by Steve McQueen in one of the most iconic car chases in the movie industry ever. The engines included 13 options and ranged from a 3.3 I6 with 115 hp to a 7.0 with 335 hp and massive 597 Nm of torque. 1969 – 1970 models further increased the body. The grille was also all new and it included a set of two lights accompanied by two more at the sides of the grille. The engines ranged from a 3.3 I6 with 120 hp to a 7.0 V8 with massive 375 hp and included a performance-oriented Mach 1 model, the Trans Am homologation Boss 302 and 429 and the Grande which was a more luxurious car with softer suspension and better sound insulation. The 1970 models were a bit less aggressive and devoid of four headlamps, coming back to two again. 1971 – 1973 models were bigger than the previous generation again, but they also lost a lot of their styling appeal. This was an outgoing model and the last series of the first generation was already pressed by new regulations. The 1973 model was the last one of the first generation Mustang and it led to the class descend to the economy car that the second generation was. The massive hype before the official start of production led to more than 22,000 orders on the first day and almost 3 million MK1 Mustangs sold overall. The second generation was a lot less interesting to the automotive enthusiasts than the first one. It was made from 1974 to 1978 and it shared a platform with the Pinto. 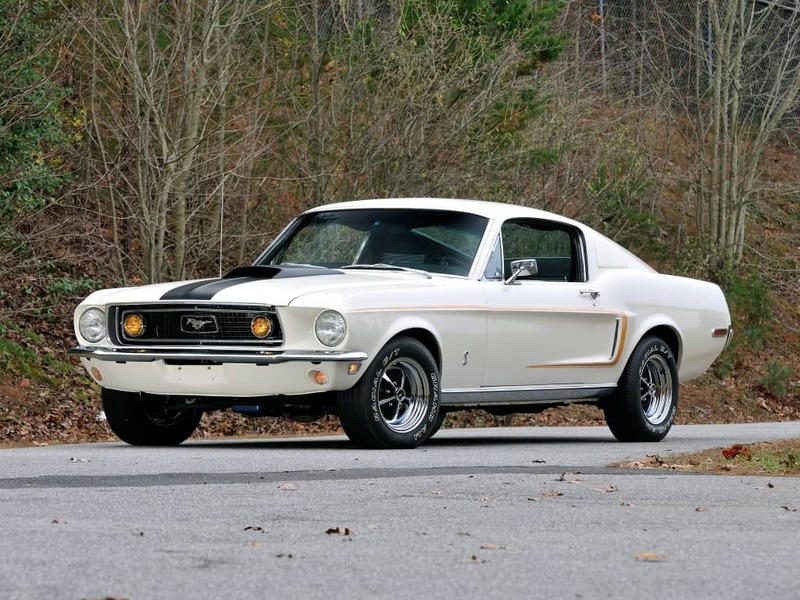 Due to new regulations, economic and fuel crisis many buyers were switching to more cost efficient models and Ford decided to go in that direction with the Mustang. It was a more docile car in every way, featuring two-digit hp entry-level I4 engines, 2.8 V6 and a 4.9 V8 which wasn’t very powerful either, but this also had some good points, since it had rack and pinion steering and created less noise and vibrations, proving far more comfortable. The V8 came in 1975 but it gave only 140 hp, while the 2.3 I4 (80+ hp, depending on the model year) and 2.8 V6 (around 100 hp) were even slower. However, it came in the best possible time, following the market trends and general economic state and being sold incredibly well, reaching more than 1.1 million units. It would simply take too much time to list all of the cars for the first two generations, but we’ll give you some general guidelines. First off, each newer MY was larger and heavier than the previous. 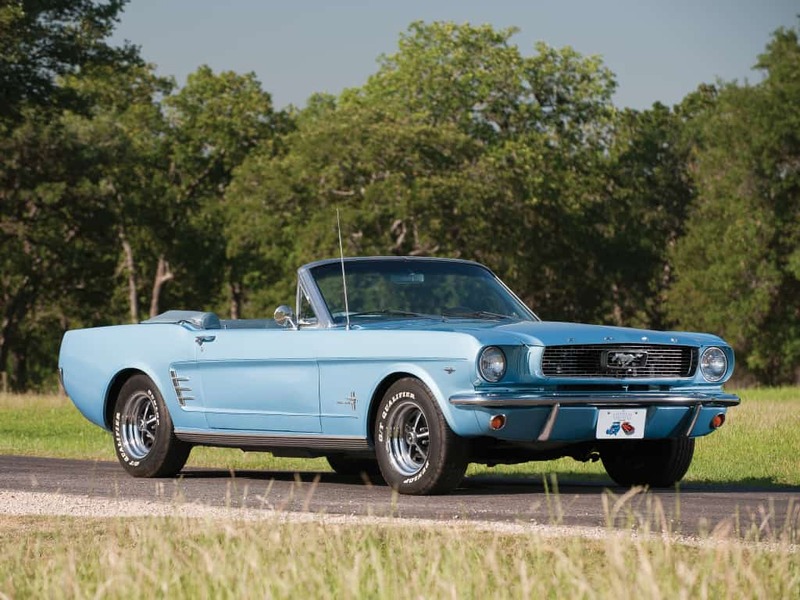 Just as an example, the base model of the 1964-1966 generation had the weight of just 2,445 lb, the 1967-1968 2,758 lb, 1969-1970 3,122 lb and on with the trend until the 1973 model which went well over 3,500 lb. Power ratings also varied greatly, ranging from 105 hp from the 2.8 I6 in 1964 to official (though rather conservative – the car was far more powerful in reality) 375 hp of the 7.0 from the 1970s. Special sporty and race-ready models were incredibly fun to drive, boasting stiffer suspensions, better brakes and lower weight, each of them accompanied by beautiful roars of the V8 under the hood. The top models were so good that they are able to provide loads of fun behind the wheel even by today’s standards. The MK2 cars, on the other hand, were far less interesting even in the 1970s, the fastest one being the V8-powered one with just 140 hp and the least powerful version barely passing 80 hp. Similarly to the previous section, there were loads of versions that provided widely varied comfort features. However, even the initial models from 1965 offered amenities like adjustable bucket seats, AM radio, loads of color options and equipment packs, brushed aluminum and woodgrain details, armrests, sun visors, remote-controlled mirror, optional floor and roof consoles and even air condition a bit later. Interiors for the MK1 were evolving together with the car, but they all shared two rising parts on the dash for the driver and the passenger, the former having all of the dials, as well as a central console that included a radio/stereo and other controls. The seats were reasonably comfortable and supportive at the front, while the back ones provided far less comfort, but were still sufficient for adults for short trips. The seats and upholstery were mostly leather and of great quality, many of them being in good condition decades later.